As a follow-up to last week’s column on Mountain Lion troubleshooting, here are two more OS X 10.8 bugs for your collection. Both of these critters result in crashes of the affected applications. There’s good news and there’s bad news here. The good news is that this bug affects only a minority of users—those that enable “network proxies” (as done by going to Network System Preferences, clicking the Advanced button and selecting Proxies). The bad news is that, if the bug affects you, it’s serious: Several different third-party programs are likely to crash on launch. The issue is related specifically to the ‘Auto Proxy Discovery’ and ‘Automatic Proxy Configuration’ settings in Network preferences. If you have one of these options checked, you are very likely to crash in MarsEdit, Safari, Tweetbot, and any number of other apps that rely on Apple’s networking libraries. We believe the instability is affecting a few percent of our users, but it’s occurring too deep in the bowels of the networking stack to be fixable on our end, leaving us dependent on Apple to correct it in 10.8.1. Network’s Proxies options: To avoid crashes, make sure the top two configurations are not enabled. The agreed-upon recommended work-around—at least for now—is to disable/uncheck Network’s Auto Proxy Discovery and Automatic Proxy Configuration options. If you can’t turn them off, because your network requires that these options remain enabled, you won’t be able to safely use the affected apps until Apple supplies the needed remedy. 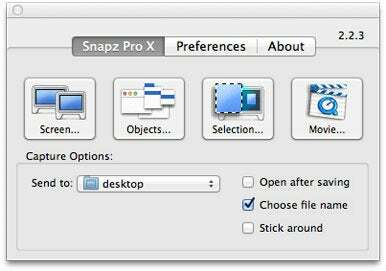 To avoid having Snapz Pro crash, don’t select Objects. These are significant problems for Snapz Pro users. In my case, I use Objects for about 75 percent of the screen captures that I do. I was glad to read that the developers hope to have a Mountain Lion compatible update out “as soon as possible.” I’m counting the days.